"Seismic activity of the volcano began gradually to increase since June, 2012; episodes of volcanic tremor began to be registered from June 21 2012 till now. Satellite data shows a weak thermal anomaly over the volcano from September 01 2012 till now. 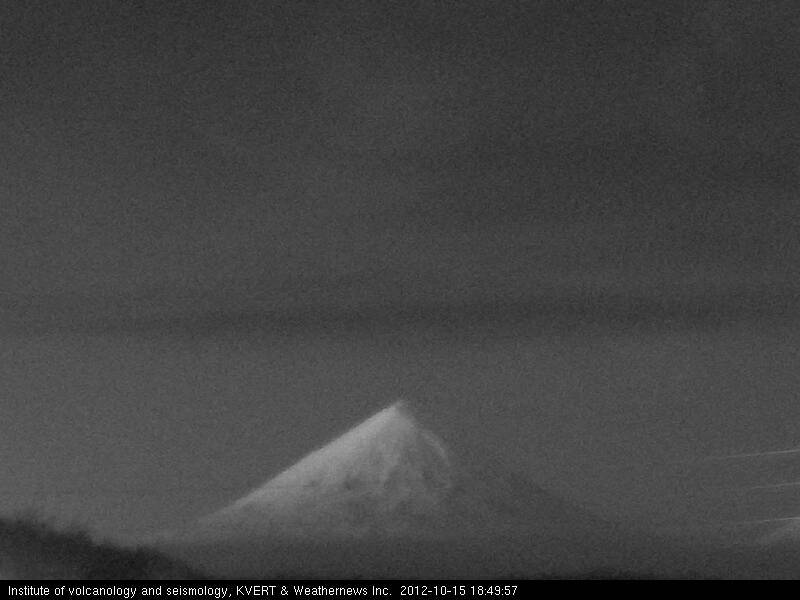 The volcano was obscured by clouds on October 07-10. Strombolian activity of the volcano (in the terminal volcanic crater) was noted at night on October 14, 2012."